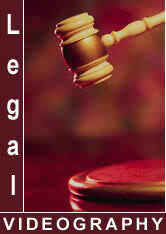 We have the experience, have video taped over 200 Depositions. Record video and transcripts simultaneously. We will provide all the wired or wireless mics needed. Multiple cameras with skilled operators ready to help you in any location. Professional, accurate re-creations with today's technology. Nothing evokes emotion like sight and sound. Incorporate video, stills and audio into your case.